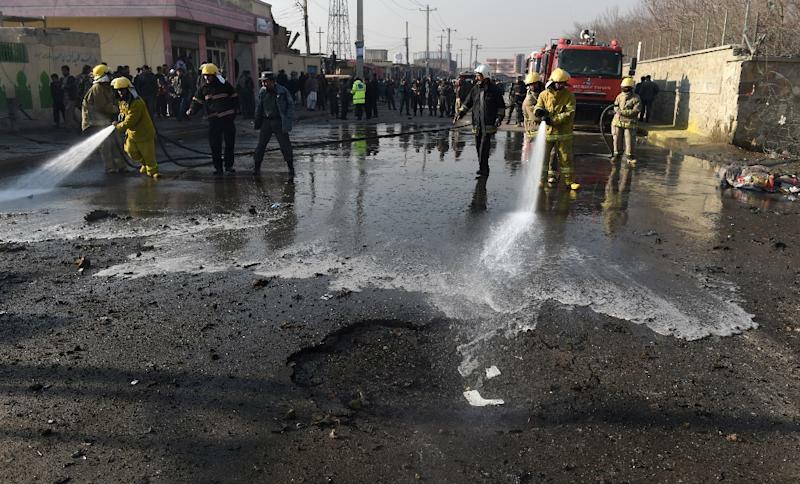 A Taliban bomber detonated an explosives-packed vehicle near Kabul airport Monday, killing one civilian in an attack targeting a NATO convoy the day after Pakistan's army chief visited the city to try to revive peace talks. 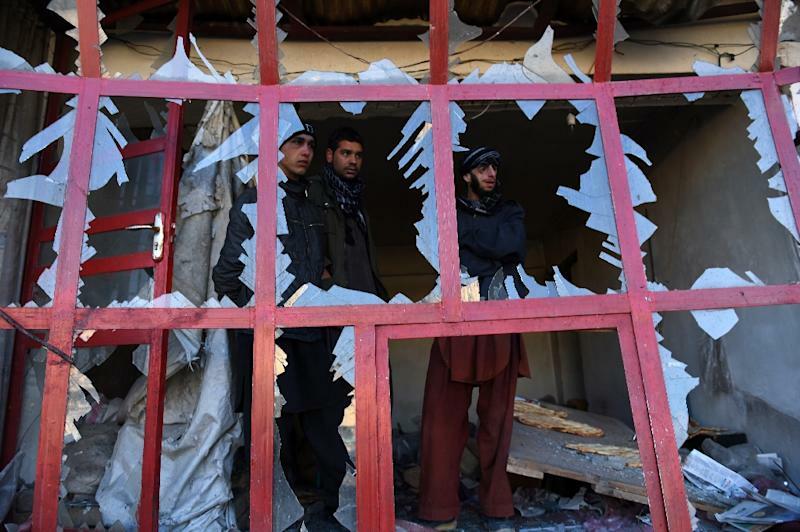 At least 33 others, many of them children, were wounded in the assault, which occurred as the security situation worsens in Afghanistan with the Taliban ramping up their nationwide offensive. 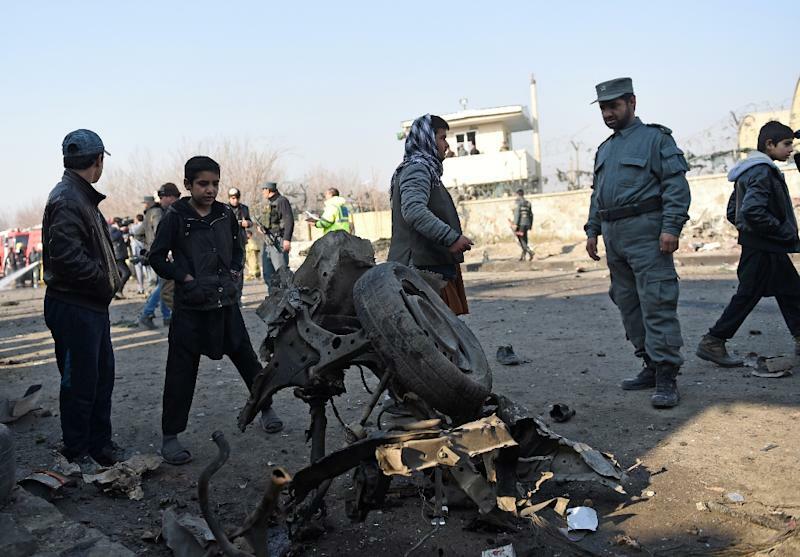 The explosion, which left wreckage of mangled and smouldering vehicles, comes despite a renewed international push to jumpstart stalled negotiations with the insurgents. "The bombing left one person dead and 33 others wounded," an Afghan health ministry spokesman told AFP. "Among the wounded were 18 children and four women." Officials said the target of the powerful blast, which blew out windows of a local bakery, appeared to be a NATO convoy that passed through the area. In a brief statement, the international military coalition ruled out any NATO fatalities. Taliban spokesman Zabiullah Mujahid said they were behind the attack on a foreign convoy, claiming that "several invading forces were killed and wounded". The attack comes a day after Pakistan's powerful army chief General Raheel Sharif visited Kabul to try to prepare the ground for fresh peace talks with the Taliban. Asim Bajwa, a Pakistani military spokesman, said on Twitter that the talks would be held in the first week of January but did not disclose the venue. There was no immediate reaction from the Taliban to the announcement of the four-party talks. Observers say the intensifying insurgency highlights a push by the insurgents to make more military gains in a bid to achieve greater concessions during talks.